I don’t just throw my hard-earned pittance paychecks around but there’s a few crowdsourced campaigns that make me crazy excited for everyone involved (including myself because of the awesome stuff I’m getting). 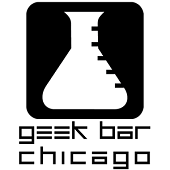 Geek Bar Chicago Is Coming! There’s comic book shops and game stores and we even have bars with old school video games but what happens for the geek who loves Doctor Who with no cable tv? That’s where Geek Bar Chicago plans to come in! They already have an initial round of investors and they’re doing a Kickstarter campaign to get the bells & whistles like super wide & long gaming tables, a killer board game collection, and the licensing rights so they can have Doctor Who night (or Buffy night… or omg Stargate SG-1, I hope! )… and the more people that contribute, the cooler this place is going to be tricked out (seriously, they want to get an Iron Throne). Jess Godwin’s “Be A Light” Video Needs You To Be A Light! 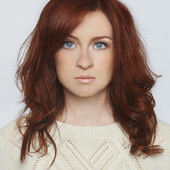 If you aren’t familiar with Jess Godwin, she’s Chicago singer/songwriter and geeky lady (and fellow ginger). Her music video for “Greater Than” is a complete delight to watch and the song itself is easily as uplifting as The Doubleclicks “Nothing to Prove” or Sara Bareilles’ “Brave”. Up to this point, Jess has self-produced her music and videos but that’s hard to sustain for any artist. Now she’s asking for help to produce the music video for her song Be A Light – seriously, listen right now, it’s absolutely fantastic. Did you listen? Good! Now you can help her make the video happen by contributing to her IndieGoGo campaign! The reward levels are AMAZING from lowest to highest. From downloads to voice lessons to concert tickets to an in-home concert, I wish I had a never-ending bank account. Here’s the awesome video for “Greater >Than” so you can get an idea of just what your hard-earned money will accomplish. Roll For It! is Funded and is COMING SOON! This one is super personal. My high school pal, Chris Leder, created this great little game called Roll For It! and it got picked up by Calliope Games. Calliope Games helps distribute Tsuro (for those unfamiliar it’s a crazy fun maze-like tile/board game). Chris, in conjunction with Calliope, ran a successful Kickstarter campaign earlier this year so Roll For It! should be coming very soon to a game store near you (or find them at GenCon and ask about it)! 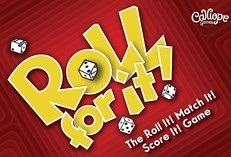 In the meantime, you can download game apps for Roll For It! to your phone. It’s super easy to play and really hard to stop once you start! iPhone users can click here! Android users can click here! Do you have any geeky Kickstarter or IndieGoGo (or other) campaigns that you’re super excited about?